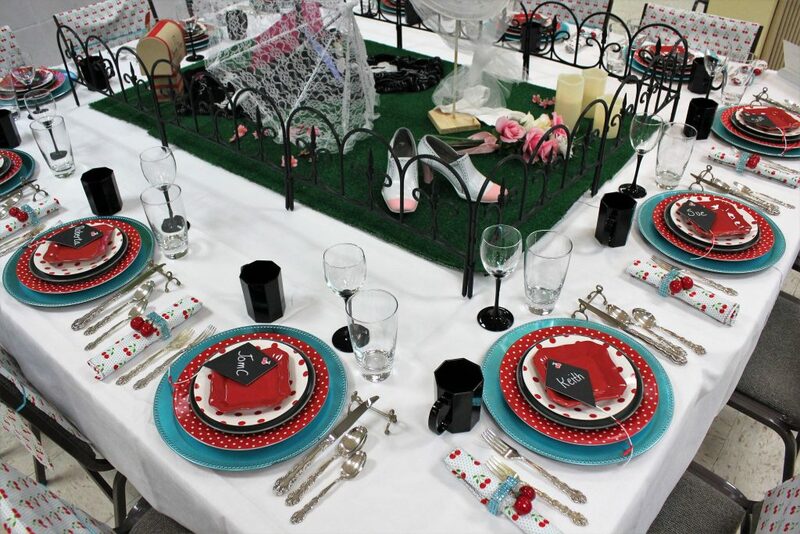 Sometimes you have to be creative when decorating your home for Christmas. 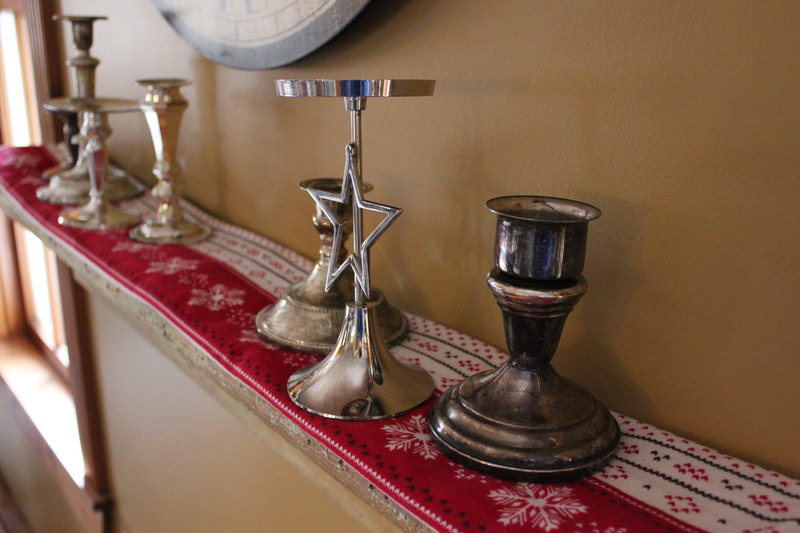 Hanging your stockings by the chimney isn’t always possible. 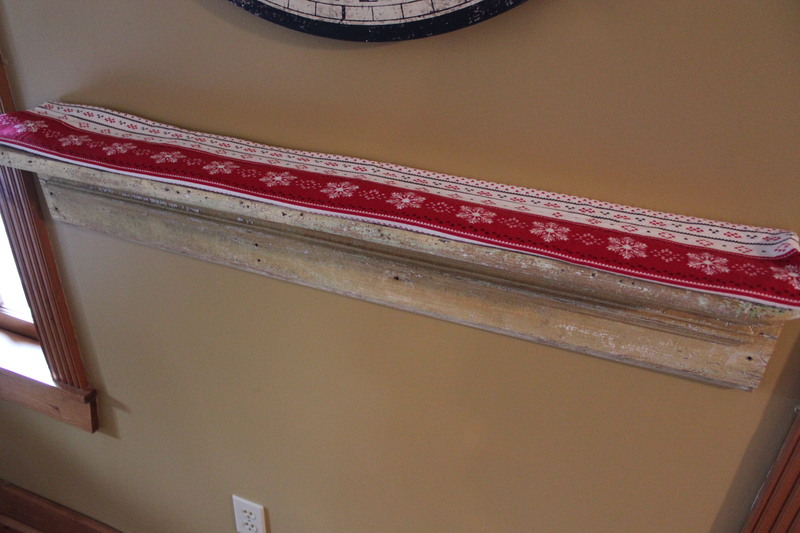 If you don’t have a fireplace, treat another shelf the same way. Display your Christmas collections and hang stockings on the 24th of December. First I covered an old shelf with a snowflake patterned pillowcase. 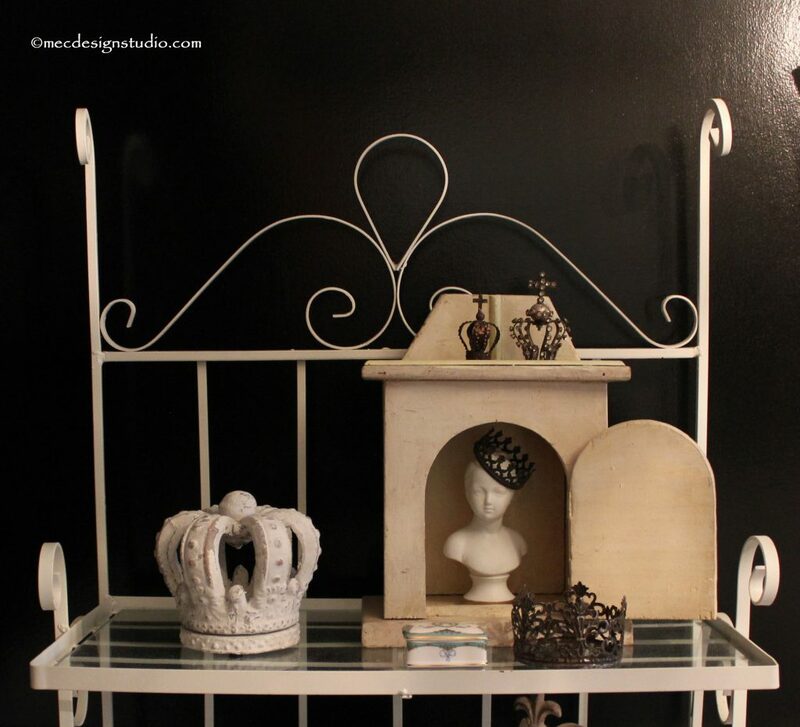 Design Tip: A secret to a creating beautiful display is: layering, variety of heights and textures. 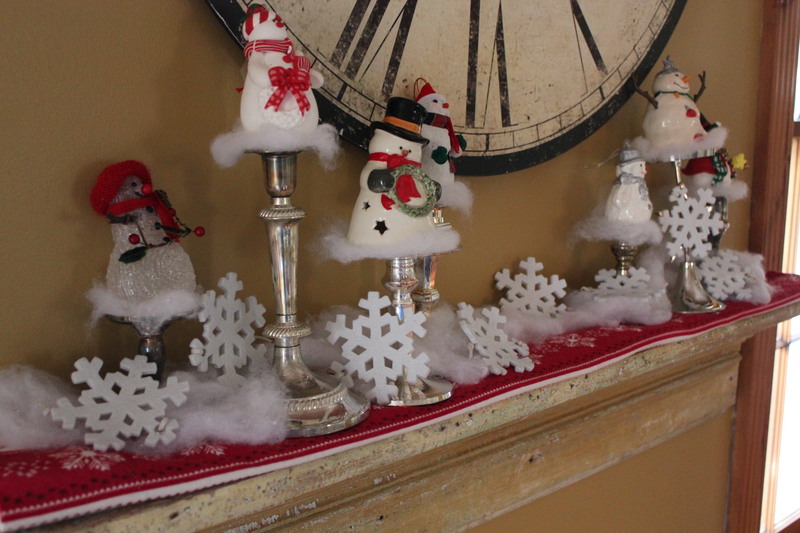 Since this collection of snowman is basically the same size, it’s important to add height. 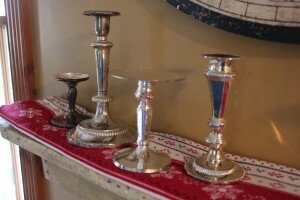 I found lots of silver candlesticks at Goodwill for very little money. 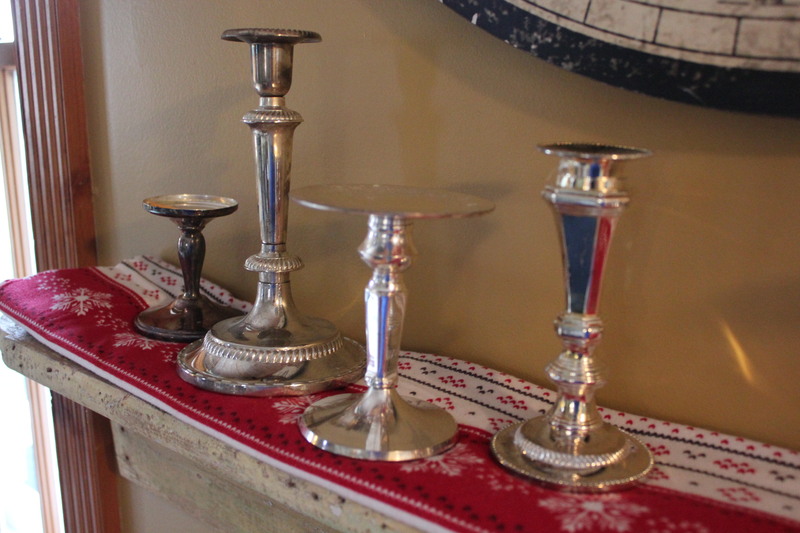 The silver patina has an ice-like quality. Mix up different sizes and shapes, push some back and place others forward. 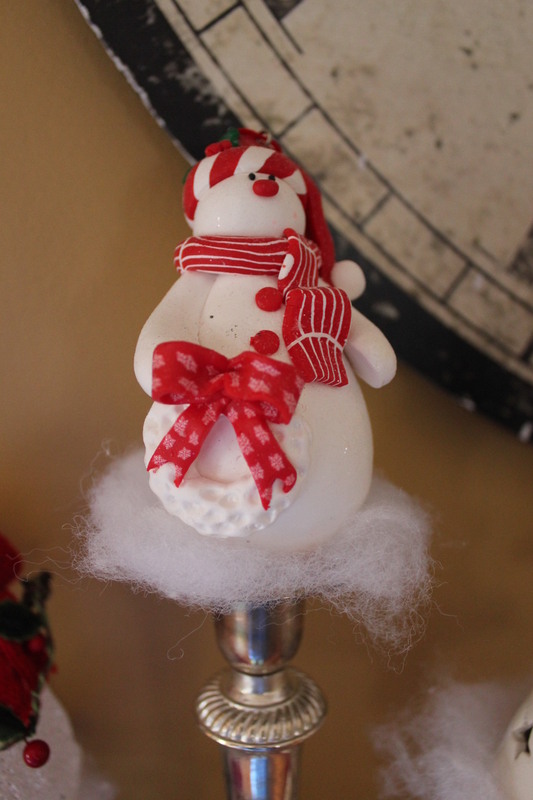 Once you get an arrangement that looks good, add pieces of batting under each snowman and around the candlesticks. 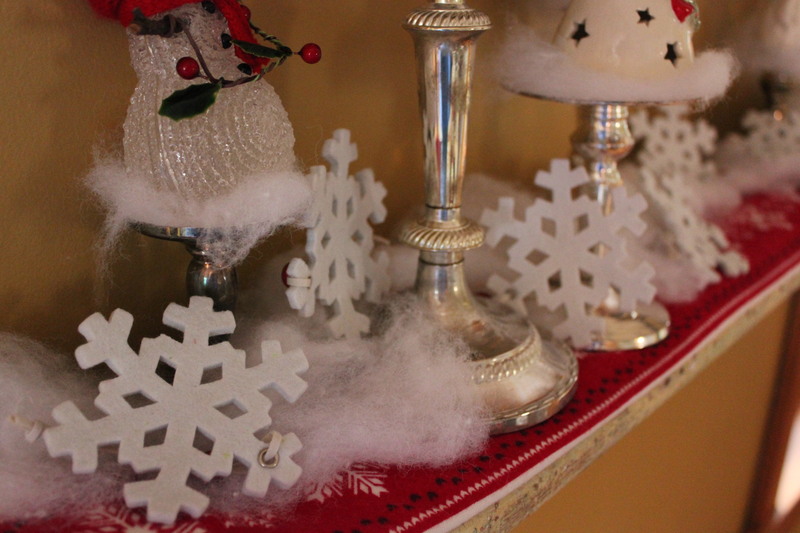 Tuck in felt snowflakes to fill in the empty spaces. 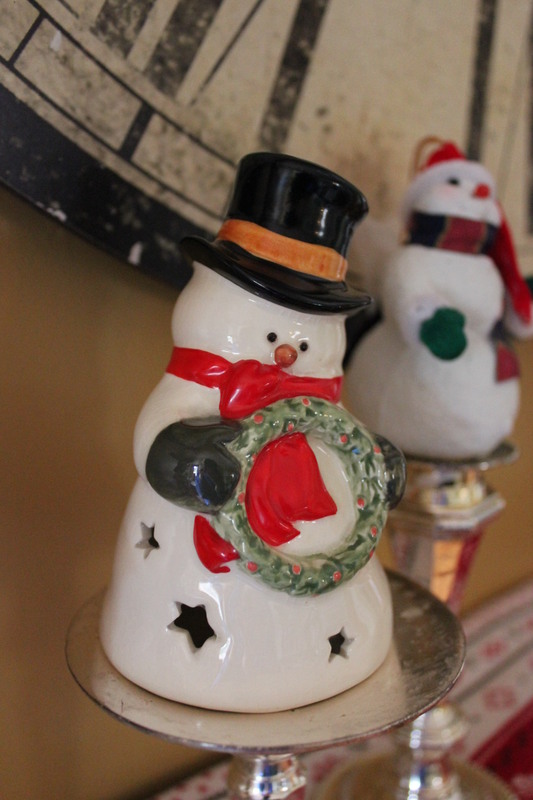 Build your collection every year with more snowmen and candlesticks. The best part of this display, you can keep it up all winter long!